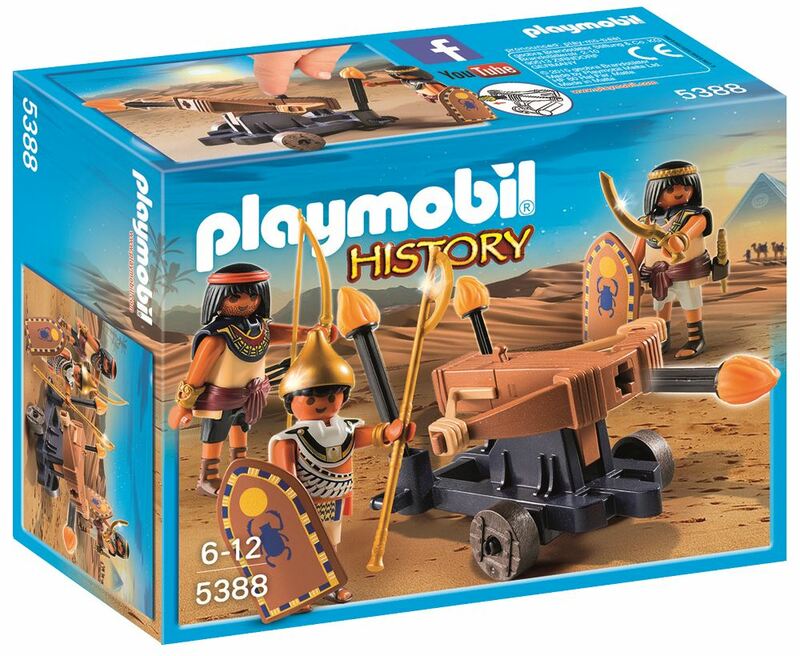 The Playmobil Egyptian Troop with Ballista features a firing mechanism for attacking enemies. The troop of three Egyptian warriors are dressed in full battle dress with swords, staff and bow and arrows. Includes: 3 figures, a firing ballista and accessories. Part of the History range. Age 4+ years. Distributed in New Zealand by Holdson.